The dataset details 2013 Budget Recommendations, which is the line-item budget document proposed by the Mayor to the City Council for approval. Budgeted expenditures are identified by department, appropriation account, and funding type: Local, Community Development Block Grant Program (CDBG), and other Grants. 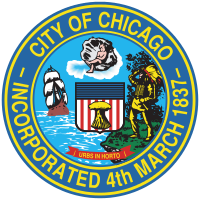 “Local” funds refer to those line items that are balanced with locally-generated revenue sources, including but not limited to the Corporate Fund, Water Fund, Midway and O’Hare Airport funds, Vehicle Tax Fund, Library Fund and General Obligation Bond funds. Owner: Budget and Management. Frequency: Data is updated annually. For more information about the budget process, visit the Budget Documents page: http://j.mp/lPotWf.